If you are applying for a US visa in Nigeria, your photo is an important part of the application process. This is to say that if your passport photograph does not meet with the US visa photo requirements, your visa application can be denied or delayed. Also Read: How to Fill the U.S DS 160 Visa Application (With Pictures). Your photo must be square. This means that the height and width must be equal. The smallest dimensions are 600 pixels (height) by 600 pixels (width). The biggest dimensions are 1200 pixels (height) by 1200 pixels (width). Photo must be in color (not in black and white). The photo should be taken in a plain white or off-white background (not in a red or blue background which is common to Nigerian roadside wait-and-take photographers). File Size: the file size of your photo should not be more than 240 kilobytes (240kb). 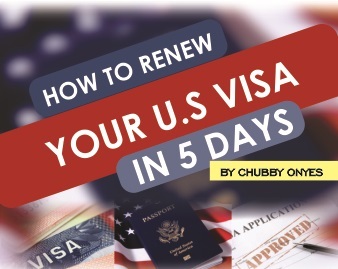 Also Read: How to Apply for U.S Visa in Nigeria. Your photo must only show your face, neck and shoulders. You must directly face the camera. You expression must be neutral. This is to say that you must not be smiling, frowning or having any other facial expression when you take this photo. Do not wear sunglasses or any headwear unless the headwear is worn for religious purposes. But make sure that they will not stand in the way of any of your facial features. Photo must be taken in the clothing you normally wear on a daily basis. Do not take a photo in your uniform unless it is religious clothing that you wear on a daily basis. Wireless hands-free devices, headphones or similar items are not acceptable in your photo. Also Read: How to Schedule U.S Visa Appointment for Family in Nigeria. Head Size: Your head must be at the center of the photo. This means that the area from top of your head, to the bottom of your chin must be between 50% and 69% of the image’s total height. The eye height which is measured from the bottom of the image to the level of the eyes should be between 56% and 69% of the height of the image. Background: Plain, neutral, light colored with no distracting shadows. Brightness/ Contrast: The brightness or contrast feature in the camera should be set to show your natural skin tone. If you fail to meet the US visa photo requirements listed above, your application can be delayed or denied.